Featuring Max, a modular and a custom-made light interface. 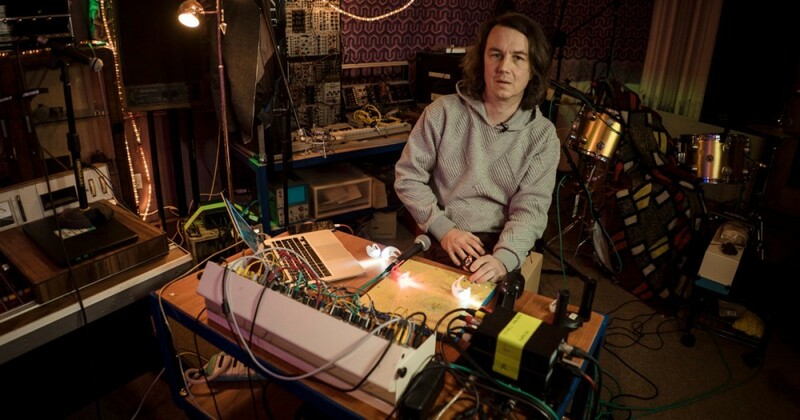 For the past 20 years, John Burton – aka Leafcutter John – has been at the forefront of experimental composition, constructing his own technological systems out of hardware and software to make ornate, complex electronics. Ahead of the release of his seventh album on Border Community this week, we visited Burton at his studio to see what he could create with his one-of-a-kind setup in just 10 minutes, using Max, a home-made light interface and modular system to manipulate a collection of field recordings. The result – beautiful chaos. Yes! Come Parade With Us is released on Border Community on April 19. Burton is touring this summer, including a show at London’s Pickle Factory on May 2 – find more info here.